This is an activity for beginning physics students relating to force interactions, inertia in motion, and inelastic collision. In this scenario, students take the role of an insurance investigator who must determine fault in a T-bone collision involving a moving car and a stationary truck. With limited facts given in the initial case information, students must do additional fact-gathering, then use physics to determine the car's velocity at the time of impact. 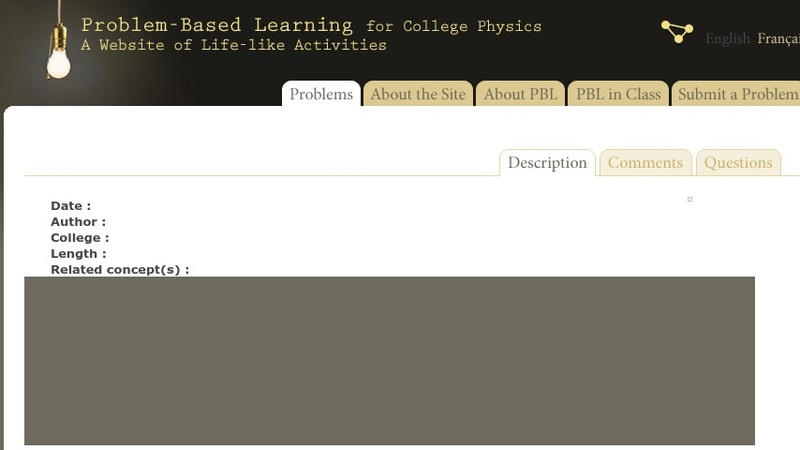 Problem-Based Learning (PBL) is an instructional method designed to strengthen student competency in reasoning and problem-solving. The activities mirror real scenarios encountered by practicing scientists and engineers. A key component is that some information is made readily available to the learner, but some must be uncovered through diligent searching.